The Department of Music in the The School of Arts and Social Sciences welcomes J. P. E. Harper-Scott as part of its 2018-19 Research Seminar Series. The seminars are open to all. By the late 1920s, the Conservative Party in the UK saw ‘highbrow’ culture as a major threat to the British state and the capitalist world order. 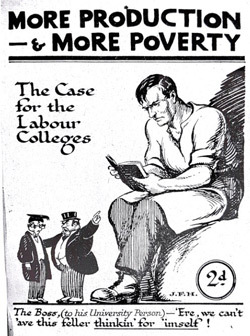 Under the leadership of Stanley Baldwin, they strengthened a ‘middlebrow’ movement whose aim was to promote an insular and identitarian view of English society and political economy, and to set up a barrier between the working classes and the dangerous isms (including modernism) of the Continent. This lecture examines the fortunes of Britten’s music in relation to the ‘battle of the brows’, then and now, and asks what the long view of the struggles between middlebrow and modernism, conservatism and radicalism, have to say in respect of the traumas of our present. J. P. E. Harper-Scott is Professor of Music History and Theory at Royal Holloway, University of London. He has published extensively on music of the nineteenth and twentieth centuries, with a particular focus on twentieth-century British music and theories of musical modernism. A theorist, historian, and analyst, he writes from an explicitly Leftist perspective. He has produced five books, including three on Elgar and one on Walton, and his sixth, *Ideology in Britten’s Operas*, will be published by Cambridge University Press in 2018.